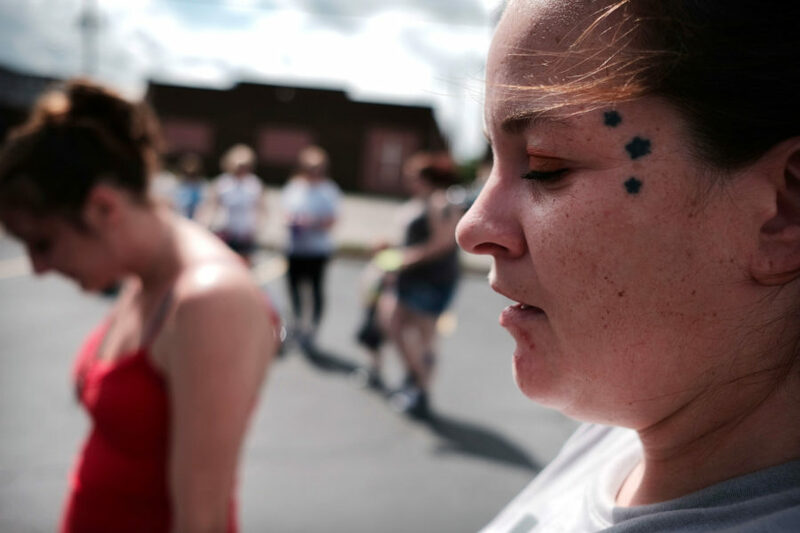 Misty Morgan, a recovered heroin addict, attends a march through the streets of Norwalk, Ohio, against the epidemic of heroin addiction in the community on July 14, 2017. Image by Spencer Platt/Getty Images, © All Rights Reserved. Jonathan is the kind of addict the cops find dead in an alley or passed out on the sidewalk with the needle still in his arm. Thirty-two years old and over six-and-a-half feet tall, he stood over me that day crying and grieving. His left arm was swollen twice the size of his right. He’d been in and out of the ER that morning being treated for infected open wounds from injecting heroin over and over in the same spot. Jonathan, looming over me and through his sobs, pleaded his case. I told it to him straight, saying, “Ya know, Jonathan, you’re right, it probably should be you.” But it wasn’t. It was his cousin, my niece, Laura. My brother Pete’s girl, just 27 years old. Laura was also an addict, but more private about it. And she’d been clean when I’d seen her just four months prior on a visit home for Thanksgiving. She was a picture of health and seemed to be thriving in her role as a mom to two little boys. She was back on track to clean herself up but then, a few months later, a friend stopped by. They got high. Laura overdosed and died. This is all too common a scenario. The opioid epidemic in the United States is wiping out a whole generation, populating the next generation with thousands of orphans. The foster care system exceeds capacity. Kids are left sleeping in DSHS offices or put into group homes where they suffer physical and sexual abuse, profound neglect, and sometimes disappear altogether. It’s no wonder, then, that where I grew up on the outskirts of Huntington, West Virginia, a place that’s been deemed by Gallup as one of “the most miserable places to live” several years running, that kids are being taken in by aging grandparents — many of whom are suffering through poverty, illness, isolation, and unimaginable grief. Huntington is the city where, in August 2016, there were 27 overdoses within four hours, including one death. West Virginia, although almost heaven, is one of the poorest states in the country. West Virginia is a place where people struggle with addiction and suffer through profound poverty, having the highest rate of overdose in the United States. And because Donald Trump talked to these people, told them what they needed to hear about how he would save them, the majority voted for him — that is, if they voted at all. People across the country refer to West Virginia and the Appalachian area as Trump Country. When people in Seattle, where I live now, hear that I’m from West Virginia, they ask me if I’ve read Hillbilly Elegy, A Memoir of a Family and Culture in Crisis, by J.D. Vance. People (mostly my liberal friends) are reading books like this looking for insight into the Trump voter. Vance’s memoir is a look at one young man’s story of “upward mobility” and paints an accurate picture of many Trump voters. But, in his book, Vance says the solution for the region’s crisis is for people to just “pull up their bootstraps” and get a job. But if your brain is not well and you don’t have enough food to eat, you can’t figure out how to help yourself. Telling someone with a brain disease to pull up their bootstraps and get a job is like telling someone who has lung cancer to go for a run because it will make them feel better. As someone whose family has been hit directly, not just by poverty, but also by death due to addiction, I have learned the importance of taking a softer and more compassionate look at addiction. Laura’s brother, Mathew, is also an addict. He’s still alive, likely because he’s been in jail, tucked away from the temptations that Laura faced. But being imprisoned has also kept him from his family, where he’d get what he needs the most: love and nurturing. Mathew wasn’t allowed to attend his little sister’s funeral. My sister-in-law Margy and my brother Pete have custody of Laura’s two boys. Mathew’s kids are with their maternal grandmother because his ex-wife is an addict too. Margy told me that when she drops the kids off at school, all she sees are grandparents dropping off their grandkids. She says that a whole generation is being wiped out. 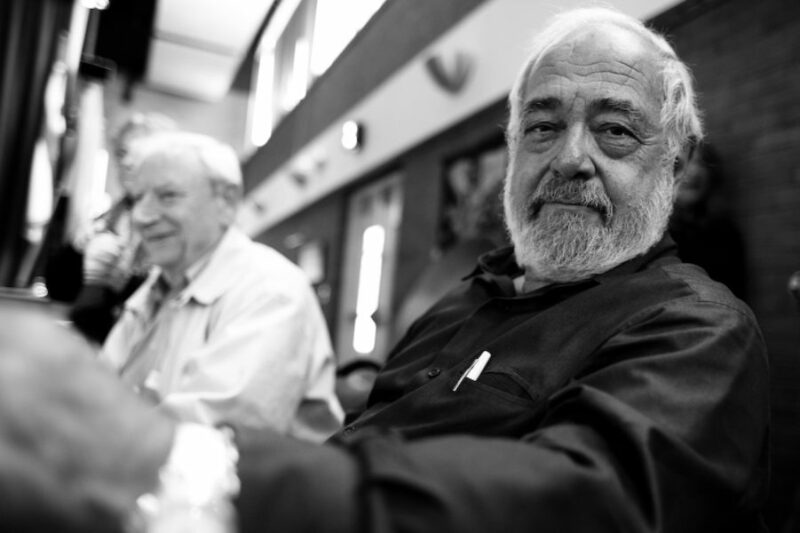 Little kids are being raised by their grandparents because their moms and dads are either dead, in jail, in the thick of recovery, or still using. The circumstances that drive people to use vary, certainly, but some people are more prone to becoming addicted. That was probably the case with my niece and my nephews. They likely had a genetic predisposition. For others, drug use is a way to numb the stress, pain, and worry of living in extreme poverty and isolation. Science tells us that people in poverty suffer chronic stress. An overwhelming majority of addicts have experienced abuse, neglect, or poverty in their childhood. In the case of Mathew, Laura’s brother, his drug use started with prescription pain pills. He started on these pills after hurting his back and having hand surgery. He had a house, two cars, a wife, and two kids. He’d worked for the same company for ten years. He lost it all, even his kids, and now lives his life between jail and treatment centers. Pete and Margy are good people who love with abandon. Their two kids, Mathew and Laura, grew up fishing, hunting, and going to fairs where they earned blue ribbons for demonstrating their ability to care for and raise farm animals. Their childhood was simple, clean, and humble. They were good kids. In addition to Laura’s boys, Pete also adopted three other kids, siblings whose parents are addicts and who would have been separated if not for my brother. Pete and Margy are in their mid-fifties raising five children with minimal resources. They work hard, and so did their kids. They are good people. The problems back home in West Virginia are serious and widespread. There’s no one story or one way out. J.D. Vance’s story is inspiring in its own way, but it’s just a small slice of a much bigger tale that needs to be heard. And stories about families in crisis are not exclusive to folks living in the most miserable place but include tens of thousands of people across the nation; including those living in one of the most desirable places in the world — Seattle. Margy thinks healthcare is at the top of the list. Healthcare that includes treatment for addiction, like any other mental illness. People who lose their jobs lose their healthcare, as has been the case for Mathew. They find other ways to get their drugs. Margy also believes that intervention, starting as early as fifth grade, is critical. She says we need to teach kids about the dangers, realities and temptations around drug use before junior high. Margy tells me that her daily worry is how to protect her five kids (two of them are grandchildren) and prevent them from going down the same path as her first two. Even when grandparents, like my brother and his wife, are willing and able to care for their grandkids, this approach is not a sustainable. The answer to this crisis could be a private school, a permanent home, for these abandoned children. A modern-day orphanage. Not a place where kids are dumped or forgotten about, but something more like a boarding school, of sorts; a place where kids eat healthy food, get a decent education, and feel a sense of belonging, love, and hope. Another idea is to create an exchange student program, of sorts, within our own country. If girls and boys from inner cities and Appalachian hollers (like where I grew up) were given a little peek into a world outside their own culture — we could all learn a thing or two about each other. We would be enlightened in unexpected ways and maybe even wowed. It isn’t realistic that a liberal from Seattle, the Bay Area, or Manhattan could walk into West Virginia and have a face-to-face talk with the people in those communities. But with a mutually agreed-upon program, modeled after an exchange student system, doors might open — on all sides of our cultural divides. Having been that kid with no resources, I know I would have benefited from such a program. These kinds of ideas, while they’d take a bit of work to implement, could gain traction and bring meaningful change to people. Maybe even hope. I grew up hearing the term “West Virginia, almost heaven,” and despite the suffering I witnessed and experienced, I believed it. I still do. By the way, my sister-in-law Margy voted for Hillary. My brother Pete, Margy tells me, didn’t vote at all. He said it wouldn’t make a difference either way, so why bother. He went fishing. 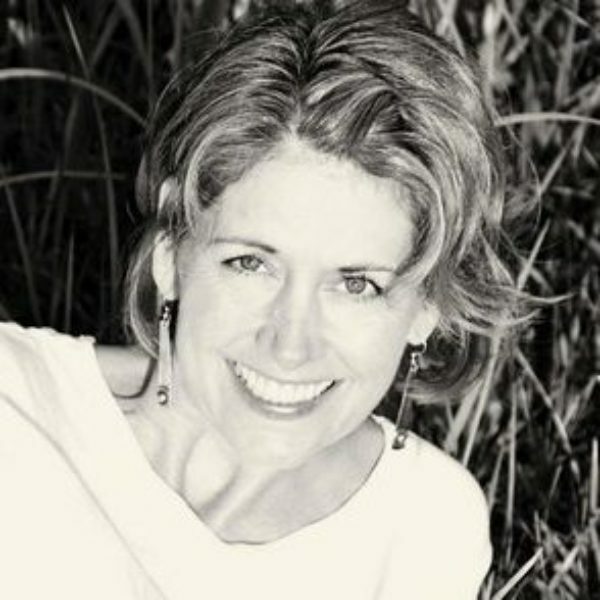 Ruth Stender is a writer and author of Glowing Houses. She’s a former columnist for New Spirit Journal. She lives in Seattle. Each year in New York during the marathon, an intimate gathering of Holocaust survivors come together. A tapestry of memory unfolds, telling the powerful stories of the survivors and the courageous people who protected them.